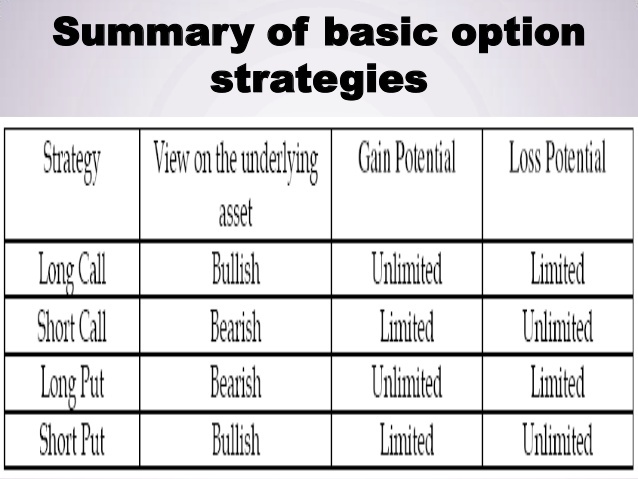 These tools are what we can use to construct all option-based strategies. By combining these building blocks, the individual investor can create strategies ranging from basic to complex. Mastery of each of the individual building blocks is essential for understanding how they work in combination. Therefore, we will now look at each of these six alternatives in some detail. Retail investors are already familiar with one of these building blocks: long stock. With an understanding of the other five building blocks, the investor will have the ability to create positions that are best suited to capitalize off any market outlook. The only limit to creating positions is the investor's creativity. Once you master the six building blocks, the possibilities are endless. 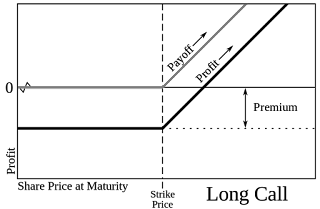 Long stock is the most common position among investors. After analyzing the fundamentals of a company and deducing that the company's product, its revenue model, and current market conditions reflect the likelihood of positive growth, the retail investor purchases the stock as an investment in that company: Over a period of time, if the investor's analysis proves correct, the stock value increases-rendering a profit. In this case, the investor who purchases stock with his or her own capital is said to be long stock. Here is an example. An investor who has no position in XYZ purchases 100 shares of XYZ at $50 per share. The investor is now long 100 shares of XYZ. shows the profit and loss associated with the outright ownership of stock. The profit in this case is unlimited. This position will profit as the stock increases in value. Each $1 increase in the market price of the stock will result in $100 worth of profit. The loss in this example is limited. This position will generate a loss as the stock declines in price. The risk is limited only because the stock can only decrease to zero. Each $1 decrease in the market price of the stock will result in $100 worth of loss. The outlook on this stock is bullish. Being long stock is a bullish strategy, meaning that you believe there will be a rise in the market price. What if the stock is not performing positively; however? What if it is declining in price? Or, what if the investor believes that the stock is highly overvalued and is ready for a significant price pullback? Is the investor simply out of luck? Stock that is in a downward trend (decreasing in value) is referred to as behaving bearishly. Similarly, an investor who has a pessimistic out-look on a stock is referred to as being bearish. The bearish trader can take advantage of an anticipated declining market by selling a stock short. In other words, he or she will sell a stock that he or she does not currently own. In this case, the brokerage firm lends the investor a certain number of stock shares at a particular price under the condition that the investor has capital in his or her account in order to cover the cost of the stock. being borrowed. With the stock in hand, the investor now has the ability to capitalize off what he or she is speculating to be a downward move in the stock. The investor sells the borrowed stock in the marketplace at its existing price and waits until the price decreases. Once the stock price declines, the investor buys the stock back in the open market at the lower price. He or she is then able to return the stock to the brokerage firm while capturing the profit. To be sure, by selling stock short, a retail iIlvestor can take advantage of a declining market. There is always a risk that the stock that has been sold short will increase in price, however. This situation could force the investor to purchase the stock back at a higher price, resulting in a loss. If the investor is correct, however, the stock will decrease in price and he or she can buy the stock back from the open market in order to capture profit. Here is an example. An investor who has no position in XYZ borrows 100 shares from his broker and sells it for $50 per share. the profits and losses associated with the short sale of a security. In this case, the profit is limited to the amount collected for the stock and risk is unlimited. The profit in this situation is limited. This position will profit as the stock declines in value. Each $1 decrease in the market price of the stock will result in $100 worth of profit. The loss in this case is unlimited. This position will lose money as the stock rises in value. Each $1 increase in the market price of the stock will result in $100 worth of loss. There is also the risk of stock being demanded back by the brokerage firm. The outlook on this stock is bearish. The buyer (holder) of a call has as much profit potential as the owner of the underlying stock but has significantly limited the risk of loss. Because of the limited capital used in controlling a large interest, the long call position is a leveraged position. The risk involved is the total amount paid for the call. A long call position is used when the trader is bullish on the underlying security and is an alternative to long stock. Here is an example. XYZ stock is trading at $50 per share, and the XYZ July 50 call is trading at $2. An investor purchases one XYZ July 50 call for $200. Figure 3-3 shows the profits and losses associated with ownership of a call option. The profit potential to the upside is similar to that of long stock, whereas the risk is limited to the purchase price of the option. The profit in this case is unlimited. When measured upon expiration of the option, each $1 increase in the price of the stock higher than $52 ($50 strike price of the option plus $2 paid for the option) results in $100 worth of profit. The profit from a long call will always be less than the profit from the same amount of long stock as represented by the option because of the time premium paid for the option. In this case, the profit from long stock would be $200 higher than the profit derived from the option. The loss in this situation is limited to the amount paid to purchase the option. When measured upon expiration of the option, if the stock is trading at $50 or lower, the option will expire worthless-and the entire. investment in the option will be lost. There will be a partial loss if the stock is trading between $50 and $52 upon expiration of the option. The outlook on this stock is bullish. The seller (writer) of a short call has as much loss potential as the short seller of stock but faces much less potential for gain. The retail investor will need to meet capital requirements in order to transact this position. He or she will also need to have cash in the account in order to cover the short call position or to own the underlying security. The short call is frequently combined with long stock. This strategy is called a covered call or a buy-write and is covered in detail in "Trading Strategies." Here is an example. XYZ is trading at $50 per share, and the XYZ July 50 call is trading at $2. One XYZ July 50 call is sold for $200. Figure 3-4 illustrates the risks and losses associated with the sale of a call option. The profit potential is limited to the amount collected for the sale of the option and the risk is unlimited. The profit in this situation is limited. The total profit to the option seller is the $2, or $2 X 100 = $200. When measured upon expiration of the option, if the stock is trading at $50 or lower, the option will expire worthless and the entire premium received is retained. There will be a lesser gain if the stock is trading between $50 and $52 upon expiration of the option. The loss here is unlimited. When measured upon expiration of the option, each $1 increase in the price of the stock higher than $52 ($50 strike price of the option plus the $2 received for the option) will result in $100 worth of loss. The outlook on this stock is neutral/bearish. A long put position is used when the trader is bearish on the underlying security. The buyer/holder of a put carries the profit potential of a short stock position but has a significantly limited risk of loss. There are no margin requirements for a long put position, and the risk is the total amount purchased for the put. Also, for those who do not trade on margin, selling stock short is not an available option. Therefore, a long put is the exclusive vehicle for speculating on a decline in the price of the underlying stock. Here is an example. XYZ is trading at $50 per share, and the XYZ July 50 put is trading at $2. One XYZ July 50 put is purchased for $200. 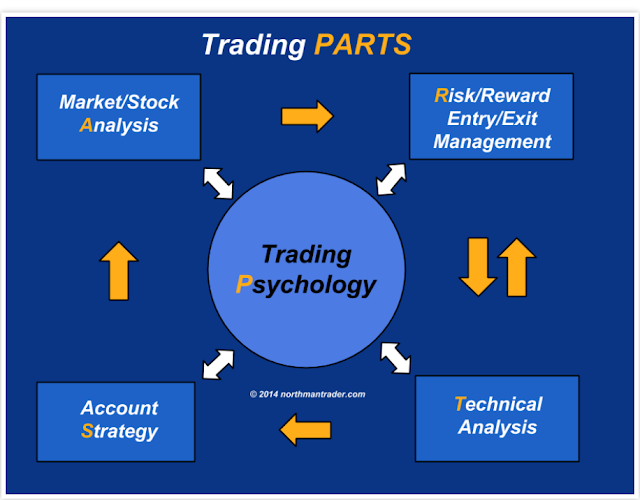 The profit and loss associated with the purchase of a put is illustrated in . The profit potential is considered to be unlimited, although the underlying can only go to zero, and the loss is limited to the purchase price of the option. The profit in this instance is limited. The profit potential of the long put is limited only because the value of the underlying stock can only decline to zero. When measured upon expiration of the option, each $1 decrease in the price of the stock lower than $48 ($50 strike price of the option minus the $2 paid for the option) will result in $100 worth of profit. The profit from a long put will always be less than the profit that would have been earned by selling the same amount of stock short, covered by the option contract due to the time premium paid for the long put. The loss here is limited to the amount paid in order to purchase the option. When measured upon expiration of the option, if the stock is trading at $50 or higher, the option will expire worthless-and the entire investment in the option will be lost. There will be a smaller loss if the stock is trading between $48 and $50 upon expiration of the option. The outlook on this stock is bearish. The buyer (holder) of a put has much of the profit potential of a short stock position but has significantly limited the risk of loss. No margin is required for this position. The risk is the total amount purchased for the put. The seller (writer) of a put has as much of the same loss potential as a long stock position but has much less potential for gain. The retail trader or investor is required to meet capital requirements for this transaction (in other words, he or she will need to have cash in the account as security against the short put). This requirement is referred to as a cash-covered put, which is similar to a covered call (discussed in the strategy section of this book). Cash in the account covers the short put. When measured upon expiration of the option, if the stock is trading at $50 or higher, the option will expire worthless and the entire premium received will be retained. There will be a lesser gain if the stock is trading between $48 and $50 upon expiration of the option. The loss here is unlimited. When measured upon expiration of the option, each $1 decrease in the price of the stock lower than $48 ($50 strike price of the option minus the $2 received for the option) will result in $100 worth of loss. There will be a smaller loss if the stock is trading between $48 and $50 upon expiration of the option. The outlook on this stock is neutrall bullish.